Leonardio DiCaprio and Martin Scorsese are set to reunite for a forthcoming feature adaptation of David Grann’s true-crime novel Killers of the Flower Moon. Scorses is set to direct the crime drama, which takes places in 1920s Oklahoma, where the Osage nation discovers oil on their land, only to find themselves being murdered, one by one, forcing the newly created FBI to take the case and uncover a monstrous conspiracy. DiCaprio is set to star in the film while also producing through his Appian Way production company. This will be the seventh collaboration between DiCaprio and Scorsese, who began their creative relationship in 2002 with Gangs of New York. 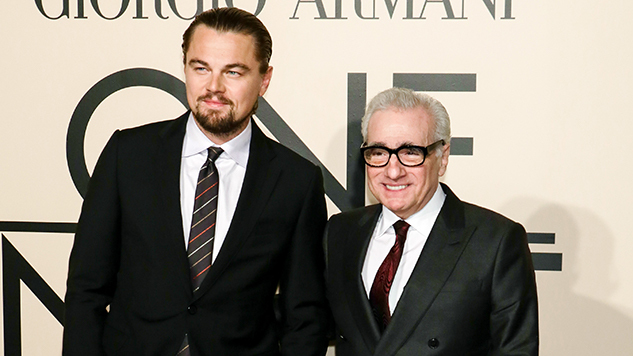 Their films together, like The Departed and Wolf of Wall Street, have been some of Scorsese’s most successful and critically acclaimed works. The latest project they worked on together was 2015’s The Audition, a short film starring DiCaprio and Robert De Niro as fictionalized versions of themselves competing for a role in a Scorsese movie. DiCaprio is currently shooting Quentin Tarantino’s Once Upon a Time in Hollywood, while Scorsese is in post-production on his much-anticipated Netflix film The Irishman. Killers of the Flower Moon has no set release date yet. It begins production in the summer of 2019.